I like pizza and it is one of my favorite foods. I have learned to make a quick homemade version . The nice thing about it is you can put any leftovers you have on the pizza. 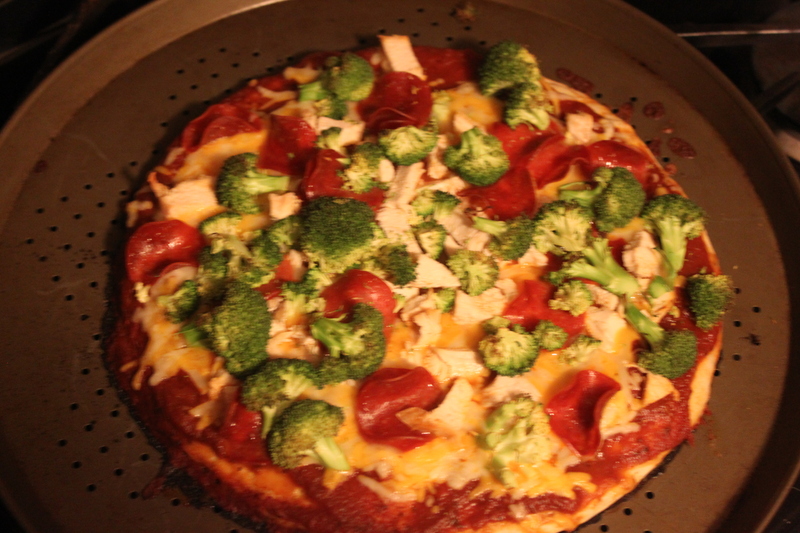 I have found a perfect crust-it is called Rustic Crust. 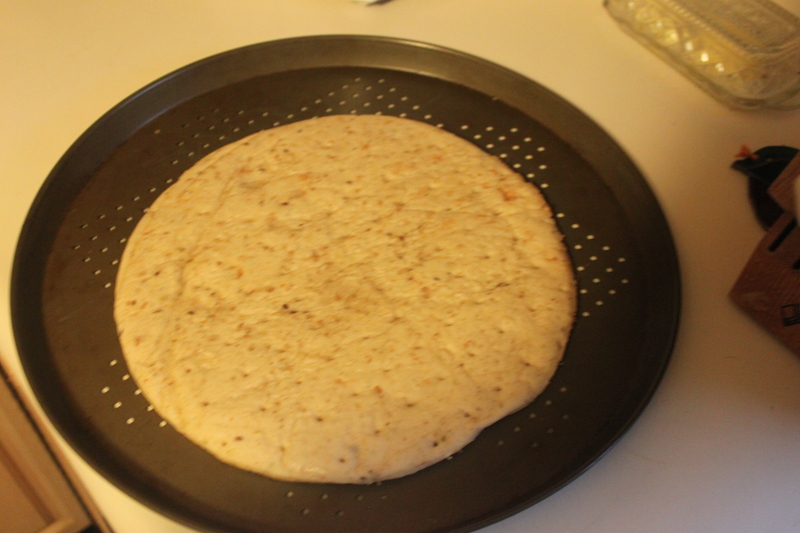 It is a flatbread that is lower in calories than flour crust. I have found it at Whole Foods or Fresh Market( a new grocery store in my area). Bake on middle rack of oven at 425 degrees for 10-12 minutes. I can get 8 slices and for the above pizza each slice was only 150 calories. I added a salad for a full meal. Looks delicious and what a great way to use up some leftovers. I’m all about using leftovers whenever I can. Thanks for sharing. OMG… my stomach is growling! It looks so good. 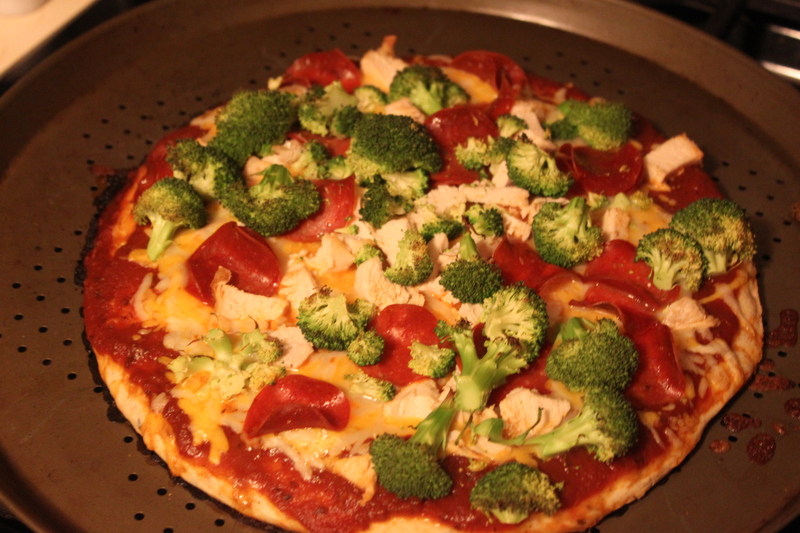 I will definitely have to go find this crust and make it. 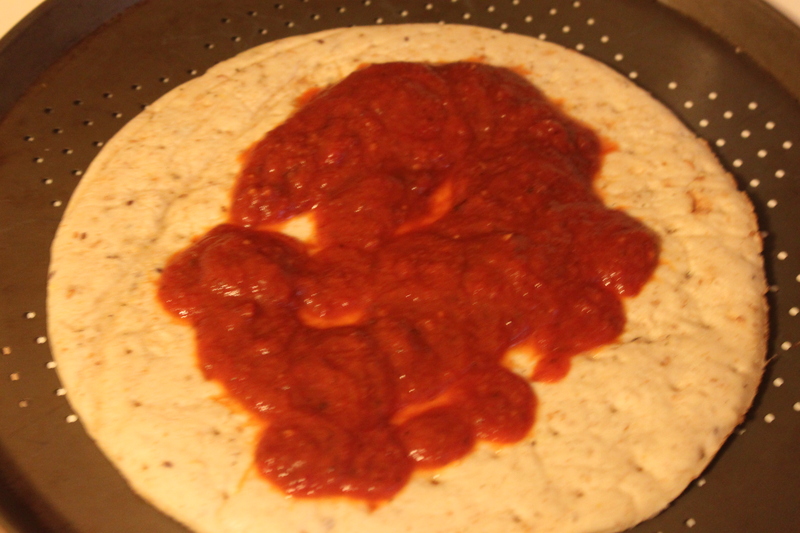 Question: How did you make your own spaghetti/pizza sauce? Thanks for sharing! Thanks! What email will you send to? Work or personal? Want to know which one to look for it in. You are a true treasure my friend!